This oval tray is perfect for any side table or cabinet. 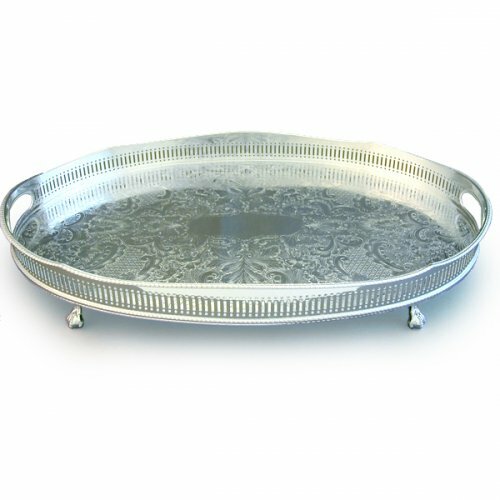 With antique base pattern, scalloped gallery, cut out handles, ball and claw feet, it is a classic example of such a tray, and will bring years of enjoyment for the owner. 45cm / 18 inches (L) x 30cm / 12 inches (W). You can choose to get this product engraved for £0.50 a letter (minimum charge of £10.00 applies).